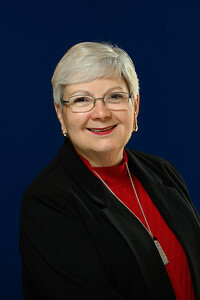 With the first Leon County Library Newsletter of 2019, I wanted to introduce Debra Sears, our new Library Director. A familiar face at the downtown County main library, Debra has been with the County for 15 years, serving in various leadership roles that have all been vital to the library's continued success. Debra takes over from Cay Hohmeister, who served as Library Director for the last eight years before retiring at the end of 2018. As many of you know, Cay spent 18 years with Leon County and she will be truly be missed as she heads off to enjoy the next “chapter” of her life. All of us at Leon County are thankful for Cay’s commitment to public service. It's also an exciting time for our Leon County Library system. Just last month we heard from Dr. Eric Klinenberg, a nationally recognized professor and sociologist, about how the future of democratic societies rests on shared spaces like libraries. In Leon County, our libraries have continued to evolve to meet the needs of the young and the young at heart. We continue to be on the cutting edge by providing mobile hotspots to patrons, offering seed libraries, digital resources, streaming video, and so much more! And with Debra's leadership, I am excited to see what the new year has in store for our libraries and their important community role. It’s natural to think about new beginnings at this time of the year. 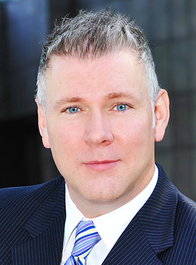 Approximately 40% of us even formalize the process by making New Year’s resolutions. One resolution that can serve you well is to continue using your public library in the ways you already enjoy and trying 2 or more programs, services or items that would be new to you. Here are some suggestions to help you make a plan. Visit a different LeRoy Collins Leon County Public Library location. This is a time of change for the library as well. Cay Hohmeister, our Director for 8 years, is retired. Things are not the same. We are grateful for Cay’s caring leadership and hard work, and wish her well in her role as “retiree”. I am delighted to begin anew as well, serving as your library director. With a wonderful community of patrons; dedicated, talented staffs working behind the scenes, behind the service desks and everywhere in-between; new formats of items to borrow; and a wide range of programs and services, our library system is successful in many ways. We are also poised for an exciting future! We are in the final year of our current long range plan of service. It’s rewarding to see 3 years’ worth of goals move to a list of accomplishments! Still to come in 2019 are the addition of regularly-scheduled virtual reality experiences at all libraries. Thanks to a generous donation from the Friends of the Library, each of our 7 locations is now equipped to meet this goal. We will also be working on an exciting summer reading program system-wide as well as behind-the-scenes tours and discussions for patrons at the Collins Main Library. In the months ahead we’ll work with a wide variety of stakeholders to create the next long-range plan. But good ideas and keen observations happen all the time! Please contact me when you have comments, questions or ideas to share. I look forward to hearing from you at searsd@leoncountyfl.gov and (850) 606-2665. 2019 Spring Seed Library Kicks off Saturday February 2! On Saturday,February 2, at 11 am., the 2019 Spring Seed Library Kickoff Event will be held at the Northeast Branch Library. The County Extension Office will be on hand with demonstrations, instruction, and much more to help you get your spring vegetable garden off on the right foot. 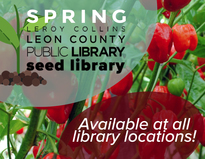 This year’s Spring seed selections will be available at all library locations along with displays of gardening materials from our collection. Get your seeds early as they go fast and supplies are limited. Calling wizards and muggles of all ages. 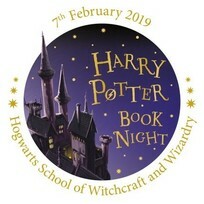 Enjoy a celebration based on the Hogwarts School of Witchcraft and Wizardry at Harry Potter Book Night on Thursday, February 7! Participate in a photo op, scavenger hunt, games, and other activities while enjoying Butter Beer from 5:30 to 7:30 pm at all library locations. Activities are geared toward 8-10 year olds, but the event is for Harry Potter fans of all ages. Questions may be directed to the Youth Services desk at (850)606-2708. Celebrating diversity in children’s literature, the Main Library will host the annual African American Read In on Sunday, February 10, from 2-4 p.m. in the picture book area. Please join us as we enjoy selections being read by community leaders/members. For more information, contact Mary Douglas, Youth Services Coordinator, (850)606-2708. Browse our entire collection at www.LeonCountyLibrary.org for more great picks. In most cases, you can place a hold before the book comes out! Enjoy hands-on science activities every third Thursday at the Main Library. This program is offered by the MagLab and designed for 1st-5th grade students (although all ages are welcome). Mag Lab will feature “electricity” at their January 17 event at 6:30 p.m. at the Main Library. Kids will investigate “chemistry” on February 21. To see everything going on at all the branches visit our website LeonCountyLibrary.org or call any branch. LeRoy Collins Leon County Public Library is a great place for food lovers of all sorts. Our library has a massive collection of cookbooks covering all types of cuisine from vegan to BBQ. We carry titles on basic baking, international cuisine and healthy cooking, too. Magazines such as Food & Wine and Food Network Magazine will help you hone your skills and stay up to date on the latest trends in the culinary world. Do you love food but not necessarily cooking? The library has titles by venerable food writers and critics such as Ruth Reichl and a collection of chef’s memoirs by culinary celebrities including Anthony Bourdain. Travel the world through its various cuisines with Eating My Way Through Italy by Elizabeth Minchilli or Cuban Flavor by Liza Gershman. You can check out one of our many food documentaries in DVD format or using our new streaming video service, Kanopy. We also carry fun food-themed fiction such as Kitchens of the Great Midwest by J. Ryan Stradal. Checkout Food: a Love Story by comedian, Jim Gaffigan, in downloadable or print format if you want to see the funny side of food. Come to the library today and feed your inner foodie. And, as always, library staff is here to help you with everything (except doing the dishes). 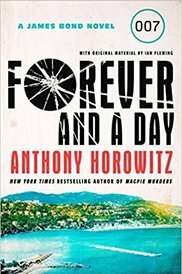 What would you like to see in the Library's Newsletter? What questions do you have about the Library? Send your ideas to Scott Joyner at JoynerS@LeonCountyFl.govwith the subject heading I want to know.... and we'll try to incorporate your ideas into future newsletters!